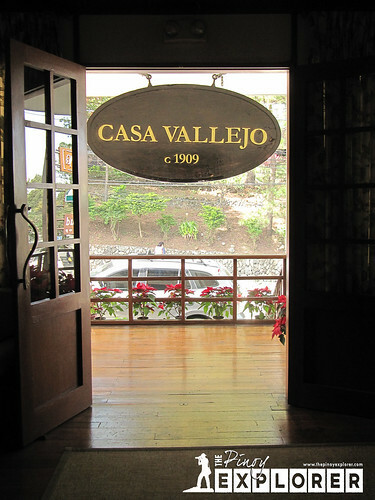 The urban legend that Casa Vallejo has become over the past decades, has drawn a lot of interest. Why not? 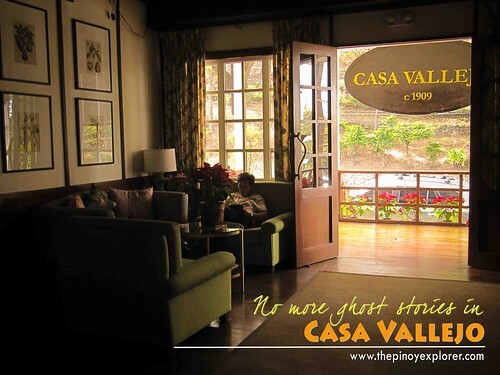 Casa Vallejo in Baguio City is believed to be a place for ghostly apparitions. In fact, it has become the subject of pre-Halloween or Halloween specials of many TV shows in the Philippines. 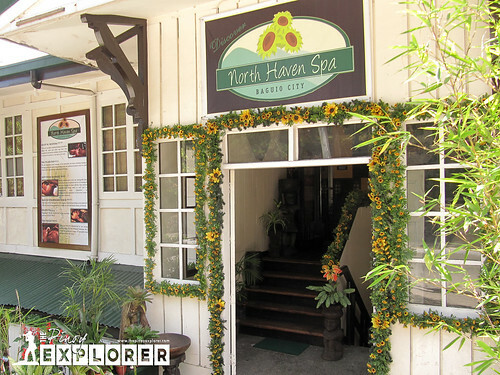 I recall that at the time I visited my friends and former colleagues, I stayed here 2 years after my 6-year Baguio sojourn. If my memory serves me right, I was the lone guest of the hotel manned solely by an old Igorot man. If my memory serves me right, I stayed in the farthest left room at the mezzanine. It was a bit eerie, but it was not that scary except by nightfall. The mere thought that the building looked old both from inside and out, there can be no denying that whether or not you believe in ghosts, you would still entertain the possibility of apparitions. Well, I had no option. It was the cheapest hotel at that time, I think, and I was on a tight budget. Nonetheless, the rooms and the bathroom were clean, but not five-star clean, so to say. fully lit up at night. Fast-track to 2010, we had the chance to had an overnight stay in this hotel again. It was on a soft launch, with a rich history, and the one with the available room because the other hotels were fully booked, we gave it a try. Upon entering the lobby I was surprised with its transformation. Even at night, the interior looked bright and sunny. 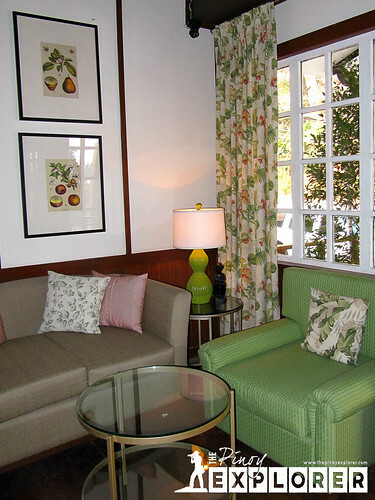 It was unpretentious with its simple and homey, yet elegant design. And I just love how they made that old fireplace the centerpiece of the lobby! 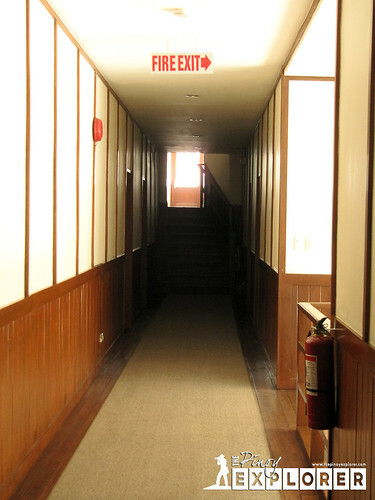 The corridors are already well-lighted (thank, heavens! ), the wooden floor--though still squeaking--is now carpeted, the rooms are also carpeted, the sheets and linens are crisp and clean, and the bathroom and comfort room is neatly tiled, with a good supply of hot and cold water. 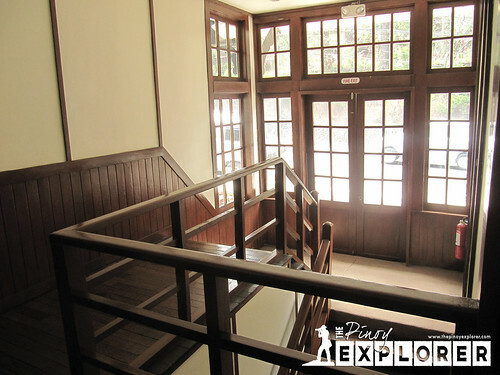 Knowing Casa Vallejo in its former state of disrepair after DENR has occupied the place, its renovation and restoration to its former glory to become a well-known boutique hotel in Baguio City, is simply commendable! Too bad I was not able to take interior photos that time. Overall, it was a night well-spent and there was no ghost that appeared to me that night. Where important men and women, once, passed through. On several occasions, I had the opportunity stay in this hotel again and had more time to better appreciate its historical significance, and of course, having more opportunities to take some photos (but not that much for I am wary that the management might hinder me from doing so.). 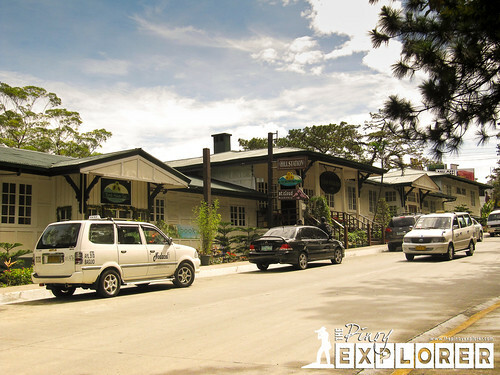 The scent of aged pine wood, the romantic ambiance, and its historical significance gives you that old-world feel in a modern and vibrant Baguio City. Likewise, while it's well-appointed rooms can give comfort, there is nothing more comforting than its courteous staff who always had that ready smile. 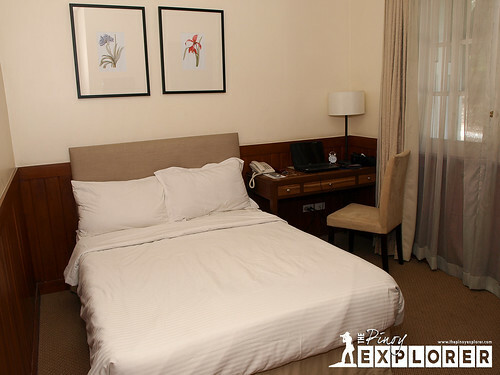 I think the historical significance of the hotel exudes that irresistible charm and interesting character that can draw a transient to book into this hotel. At this point, allow me not to reinvent the Casa Vallejo's history but cull out, instead, from other online sources like the website of Casa Vallejo and Philippine Daily Inquirer, and other online sources which I failed to (credits of the succeeding texts, therefore, go to these websites). 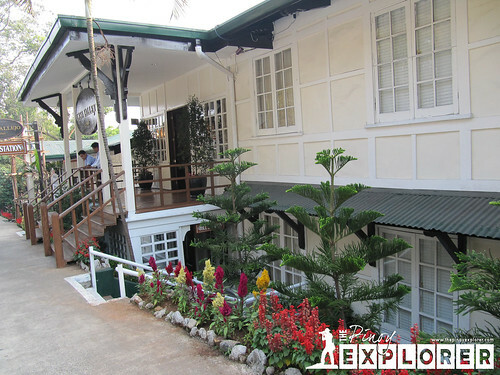 Built in 1909, Casa Vallejo is one of the oldest remaining structures, built before Baguio City's founding anniversary (1910). Dormitory 4 to house the employees of the Bureau of Public Works before the 1920s, when the American colonial government began populating Baguio. 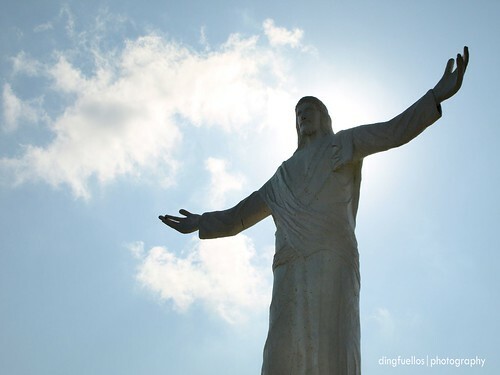 It has been named by the Baguio Centennial Commission as one of the 10 oldest institutions in the city. Of recent, Casa Vallejo has become the home of the Philippines' first Cinematheque built and managed by the Film Development Council of the Philippines (FDCP). The cinematheque is a 70-seater theater that shows art films from the the Philippines and abroad. 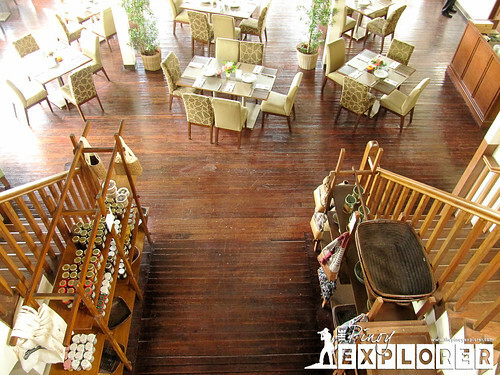 Aside from the hotel, Casa Vallejo features the restaurant Hill Station, Mt. 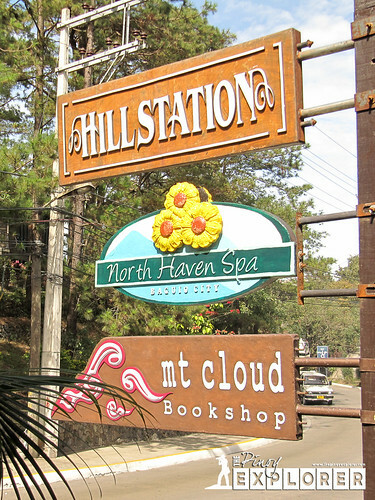 Could book shop, and North Haven Spa. If you happen to plan to stay in this hotel for work or vacation, make sure you book ahead since they are usually full. Hill Station Restaurant, formerly the ballroom. North Haven Spa on the left side of the hotel. 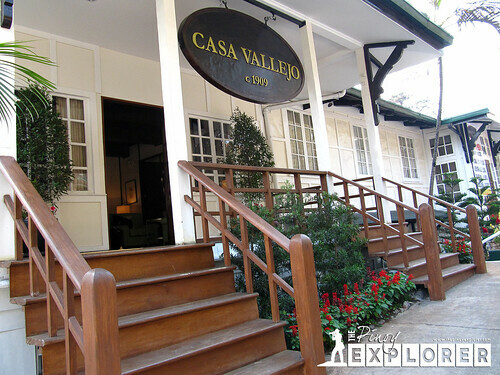 Casa Vallejo has very rich historical significance to Baguio City's heritage, as such, I would not mind blogging about it for the sake of blogging alone. I say it is worth staying in this hotel and becoming part of its living history and hospitality to people of different nationalities and background whom it had kept in its comforting embrace under abysmal and pleasant conditions and situations. While the ghosts of the past may still be lurking around it its every nook and cranny, I am sure they are happy with what has become of Casa Vallejo today.